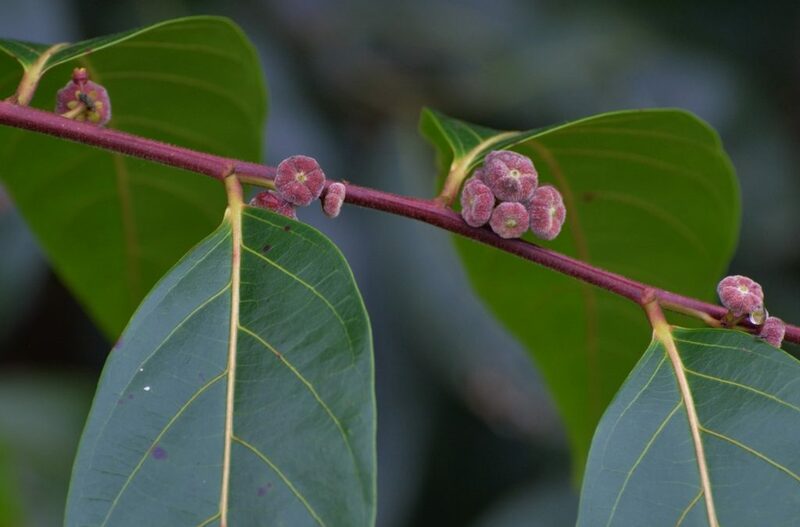 Also, known as Buttonwood or Umbrella Cheese Tree, this small tree to 6–10 m is found in rainforests, wet sclerophyll forest and along creeks and rivers. It is fast-growing pioneer that favours disturbed areas. It is widely distributed from northern NSW, Queensland and the Northern Territory and into South-East Asia. 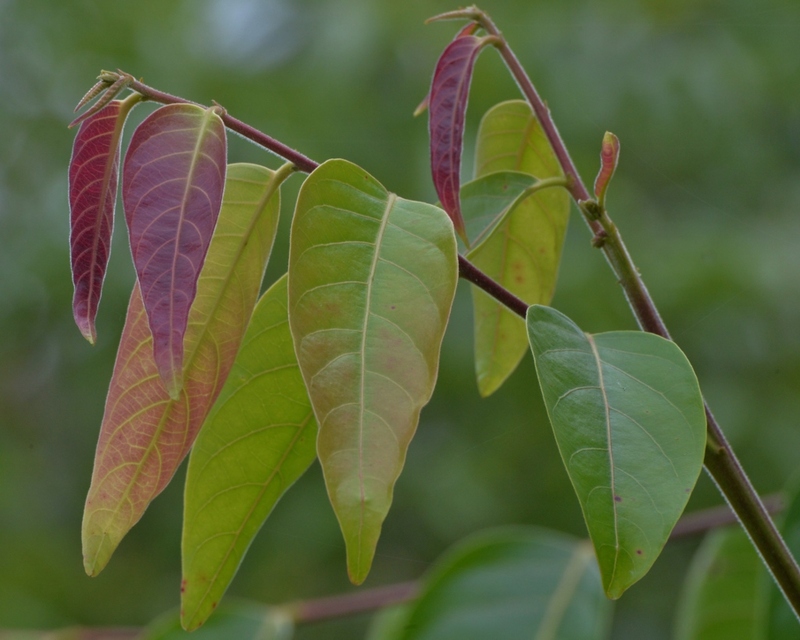 As it name suggest, this cheese tree has very large, glossy leaves to 20 cm with prominent veins. The tiny greenish yellow flowers are borne in dense clusters in the leaf axils in spring. These are followed by small clusters of distinctive pink hairy seed capsules to 10 mm (said to resemble small Edam cheeses) in April and May that open to reveal reddish seeds that attract birds such as the Lewin’s Honeyeater and Silvereye. Although this tree tolerates most soils, it does needs some moisture (and tends to defoliate in long dry periods, but will usually bounce back after rain). It fares best in full sun or semi shade and requires deep mulching. With its dense foliage and shapely habit, the Large-leaved Cheese Tree is a useful fast-growing pioneer for moister places. Specimens can be seen at the Samford EcoCorridor (https://www.facebook.com/EcoCorridor).